Females can generally tolerate a "flatter" forehead than men, but we still want some movement and we especially don't want to drop brows and make the eyes heavy. A tricky balance to strike (see video below on frown treatments). This is a younger man who had an unusually lined forehead. We were able to maintain movement in the brow but also diminish the forehead lines quite significantly. This is a great example of "static lines" - he has lines present at rest, that are typically harder to eliminate from just a single treatment (see video below on forehead treatments). A few carefully placed units can reduce forehead lines without restricting movement of the brow too much (see video below on forehead treatments). This client wanted a noticeable refresh treatment without filler. 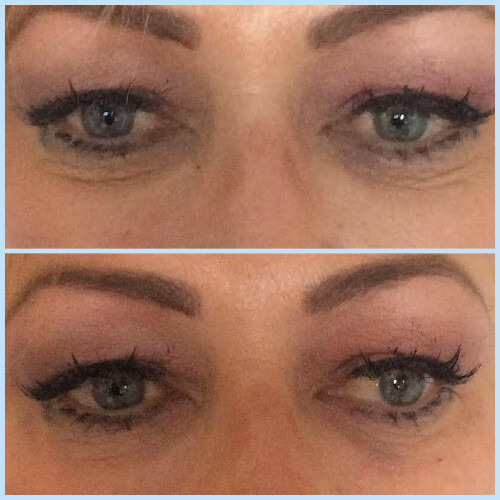 She has had improvement in her forehead, frown, with a brow lift and lower face lift (Nefertiti treatment). Note the improvement around the mouth, chin crease and jowls. So much can be achieved with anti wrinkle alone. This middle aged woman wanted a jawline enhancement. The Nefertiti lift involves injections at numerous sites along the lower face, jaw line and neck to tighten and lift. An easy treatment to remedy an annoying problem (see video below on gummy smile treatments). Often we squint and don’t even realise, especially on bright sunny days. Some anti wrinkle here looks natural and is very anti aging. Hardest treatment to get right. Competing interests are not dropping the brow, not looking too frozen and still allowing expression but also diminishing lines. A lot to consider, some clients want more, some want less and we can accommodate this easily. *Please note results may vary from person to person due to family history, age and different skin types. 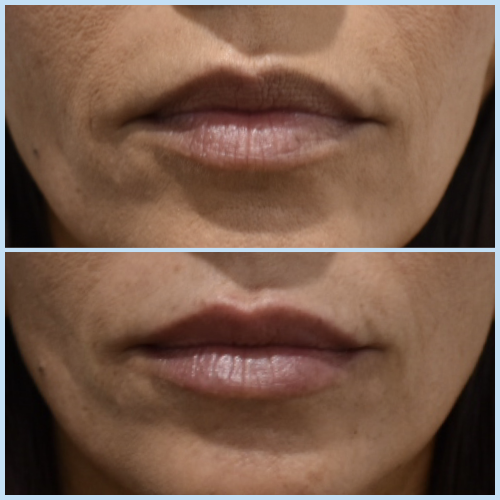 Soft filler in both the upper and lower lip to hydrate and add volume. This client had volume loss in the mid face just under the eyes which gave a "pixie" look. Lips also required volume. A naturally enhanced appearance is the end result. 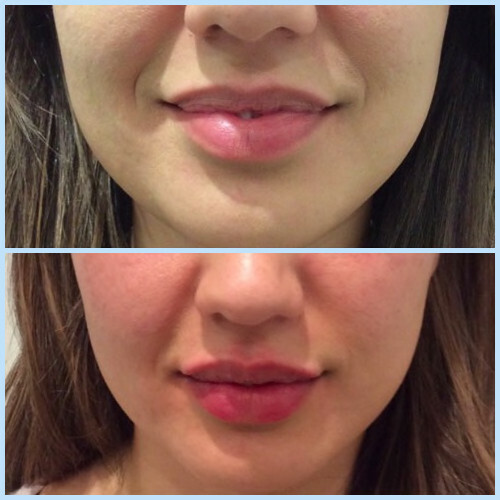 Dermal fillers offer structure and support to corners of the mouth, reducing marionette lines. Correction of the nasal profile bump, which only required a small amount of product but can require 2-3 treatments to build up. Nose filler can be very dangerous, but in the right hands is a great alternative to surgical correction. We can even correct wizened, dry looking ear lobes with filler! This procedure helps ear rings to hang without distorting the ear lobe downwards. Correction of cheek lines - both from radiation of the crows feet down on to cheek, but also from smile/accordion lines further down on the cheek. The cheek appears more hydrated. This client requested a rounder, more feminine forehead. 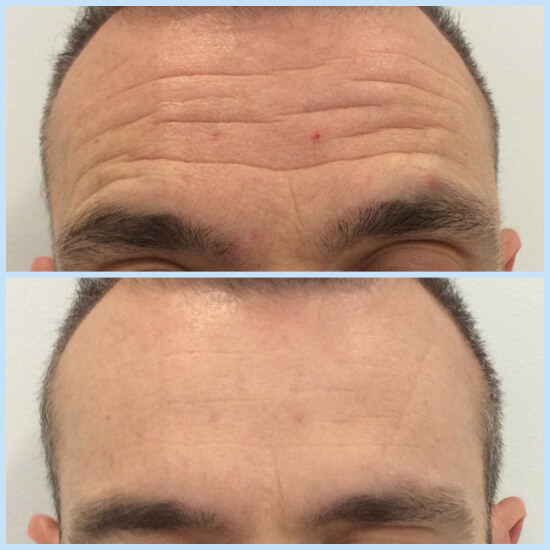 We achieved more forward projection of the forehead with 2ml of an intermediate dermal filler. This client required correction of her under eyes, temples and mid face/cheeks. This was achieved using 6ml of dermal filler. Such a natural, youthful result. 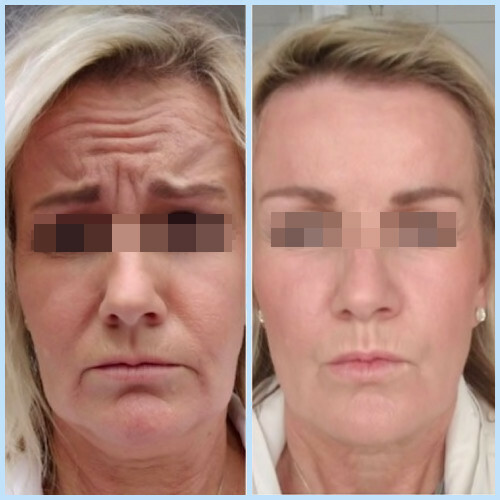 Correction of the laugh lines/nasolabial folds between the corners of the nose and corners of the mouth was achieved using 2ml of thick dermal filler. 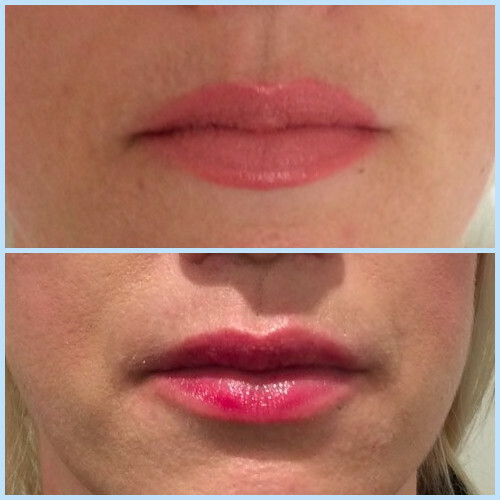 0.5ml of intermediate dermal filler to the lips, a lovely conservative enhancment. 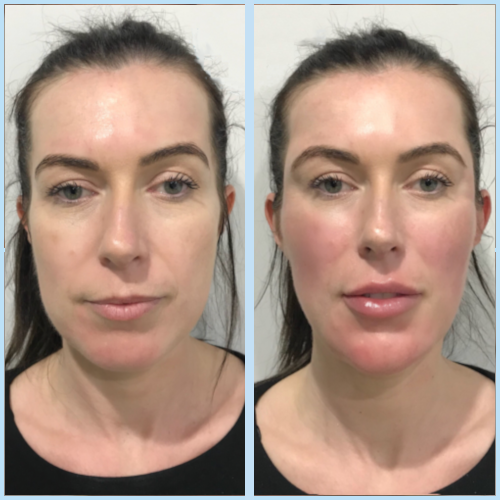 A total of 8ml of dermal filler was used to pull back and provide structure to the lower face of this client. We are not chasing youth in this age group, we are simply aiming to freshen up without making clients appear "done". A total of 3 ml was used to feminise the lower face, mouth and chin areas. Balance between the upper, middle and lower face proportions is the overall aim, as well as addressing localised problems such as this chin. 1ml of dermal filler to the lips. 1ml of dermal filler to a tricky set of lips. This is an example of how we cannot change the overall shape of the lips drastically with filler, we can really only enhance the lips you have. A freshen up using 8 ml of dermal filler and some anti wrinkle to the upper face, middle and lower face. Again, not chasing youth, just wanting to freshen up. A lovely subtle enhancement that is age appropriate. Some clients just want lip filler, they don’t want anything else. In the end, it is always the client’s decision how we proceed and in this lovely client I was happy to just do lips as the mouth area doesn’t require a lot of structural reinforcement. 1ml dermal filler to the lips. So much more forward projection of the lips, always remembering the lower lip should be a little bigger than the top lip. Total of 8ml of dermal filler to the mid and lower face to give a lovely subtle refresh. This was a very tricky case, sunken eyes, poor cheek support and a deficient, short chin. We have freshened up and revitalised this client's look nicely. Total of 7ml was used here, and over several treatments so as not to overfill. Too often the neck and hands give away a client's age. Skinboosters are here to help, smoothing and freshening and lasting up to 2 years! A fantastic product, and an alternative to classic dermal filler. This clients had 2 vials of bio stimulator, much more affordable than classic dermal filler and lasting up to 2 years! It improves skin quality as well as volumises. Total of 9 ml was used to remedy a tired, drawn look. The face shape has been altered, making it less rectangle-like and more heart shaped. The perfect feminine-shaped face. A total of 3ml was used here over 4 treatments to slowly enhance the under eye area that was quite hollowed. A very challenging area to enhance naturally, with a lot of variables to consider. 2ml of premium dermal filler to each side to treat the 'sad face" appearance of the lower face just down from the corners of the mouth. 0.5ml each side to address loose skin under the eyes. Several areas were treated here, but the brief was a subtle, natural enhancement. 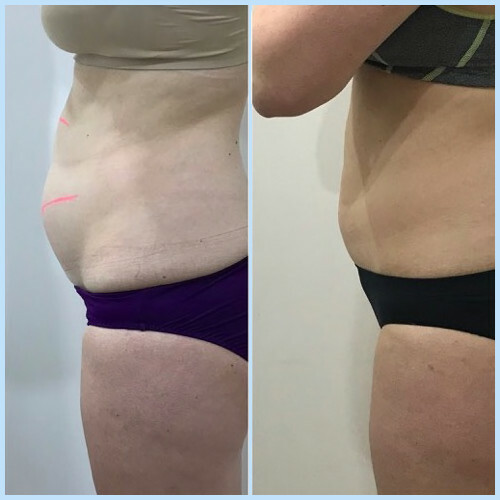 Note the brighter, more alert appearance in the after picture on the right, but our treatments are tailored to clients who want no-one to notice they've had work done. This is a very subtle and natural look that people really wouldn’t be able to instantly recognise as a lip treatment on this client. 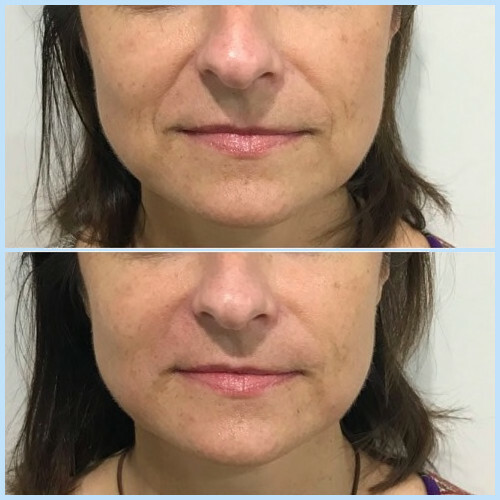 This clients was losing volume around the chin and under the mouth, creating a downturned appearance of the mouth corners. 3ml of premium dermal filler provides structure and support. Structure required first around the mouth THEN filler to the lips. Order of treatment is important! A larger mouth that can take more filler, this client still ended up having a lovely natural result. This is a very subtle and natural look. Addressing lines and volume loss around the mouth and THEN lip filler to finish off. A beautiful enhancement to address a tired and “saggy” appearance. Returning freshness to the face is what we do best. Illustrating longevity of lip filler. It mostly lasts around 6 months, but can last longer, especially if you top it up with small volumes. You don’t often lose the filler over time, it just thins out as the mouth is such a mobile part of the face. 12 weeks post treatment of a 43 year old. 2 sessions of 4 applicator heads. 9 weeks post treatment of a 48 year old. 2 sessions of 4 applicator heads. 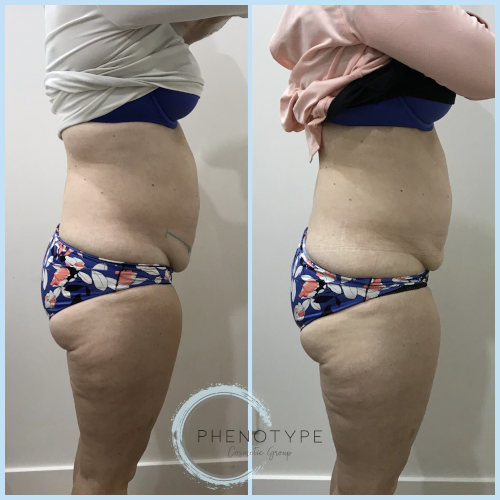 10 weeks post treatment of a 35 year old. 1 session of 3 applicator heads. 8 weeks post treatment of one session with 4 treatment areas. 12 weeks post treatment of a 46 year old. 2 sessions of 4 applicator heads. 12 weeks post treatment of a 44 year old. 1 session of 2 applicator heads. 12 weeks post treatment of a 44 year old. 1 sessions of 2 applicator heads. 12 weeks post treatment of a 41 year old. 1 sessions of 2 applicator heads.